Big Bang! Chaos! Legends! Justice! Tempest! RED! You & I! V! BEYOND! Nova! Ark! Black Mage! • The maximum character slot has been increased to 47. Players can increase their maximum character slots by obtaining the Character Slot Coupon from the Cash Shop for free. ➢ Players with more than 47 characters will not be able to see all characters on their screen. ➢ Players who exceeded the current storage limit for Storage and Cash Item Inventory will not be able to see all items fully. ➢ All players can now create characters in Draco if they have an empty character slot. ➢ Union blocks and presets have been reset. For full information, please read through the webnews Draco - Unison of 7 Stars carefully. • The Mileage Shop has been refreshed. 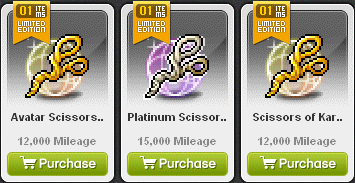 • The Mileage Shop will now have its purchase limit reset monthly instead of only when it has been refreshed with new items. 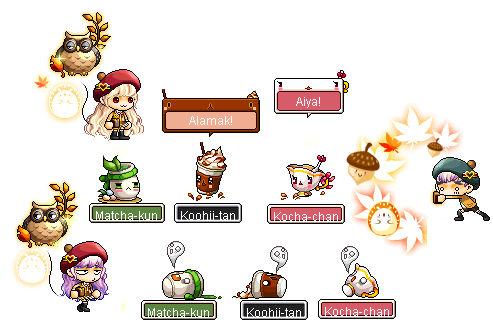 • The Mileage Shop purchase limit will now be based on Maple ID instead of by Character. • New time-limited decoratives have been added to the Cash Shop for the v185 Patch Period. • An issue where item tags could not be used on crafted equipment has been fixed.